Steve Gates, owner of SGA Architects and E-Terra Construction, helps with the remodel of the new location for his two businesses on Tuesday on the 1100 block of Main Avenue. 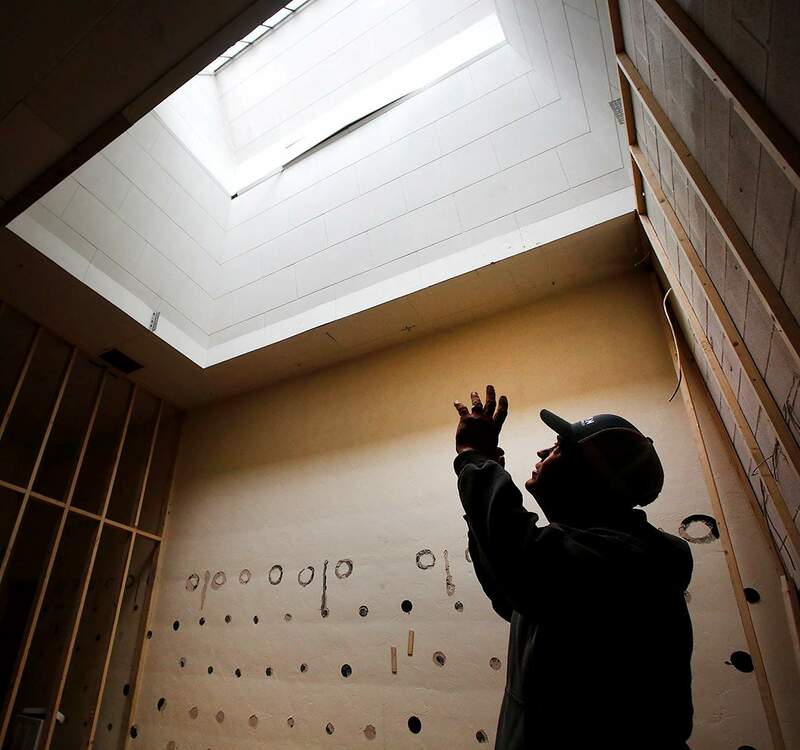 Steve Gates, owner of SGA Architects and E-Terra Construction, plans to keep the skylight and is removing two ceilings to expose original trusses at his companies’ new location in the 1100 block of Main Avenue. “With each layer we take off, this building just keeps getting better and better, ” said Steve Gates, owner of SGA Architects and E-Terra Construction. 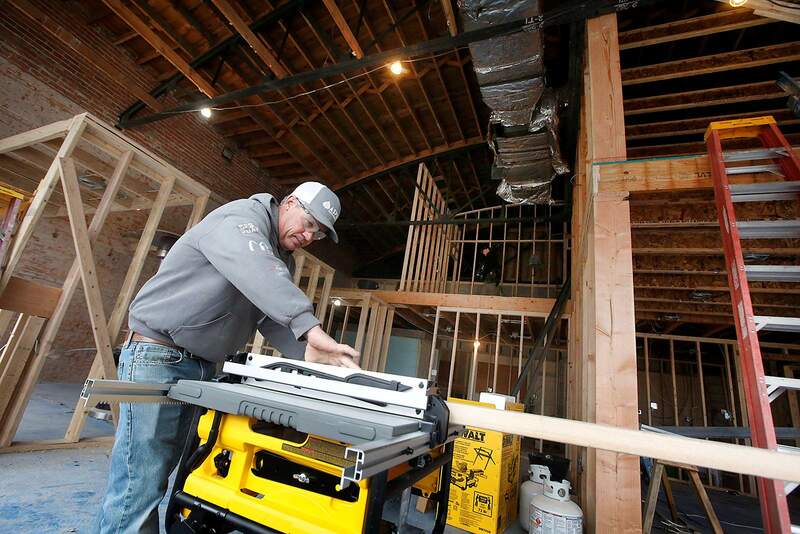 Steve Gates, owner of SGA Architects and E-Terra Construction, helps with the remodel of his companies’ new office in the 1100 block of Main Avenue. The transformation of the 1100 block of Main Avenue continues, with an architectural firm planning to move into space formerly occupied by Durango Dance in early March. Steve Gates, principal owner of SGA Architects, said the move will allow the firm to move from an office of 700 square feet to one boasting 2,800 square feet. Another big attraction is the seven parking spaces that come with the new office up from the two spaces at its current location, 145 East College Drive. 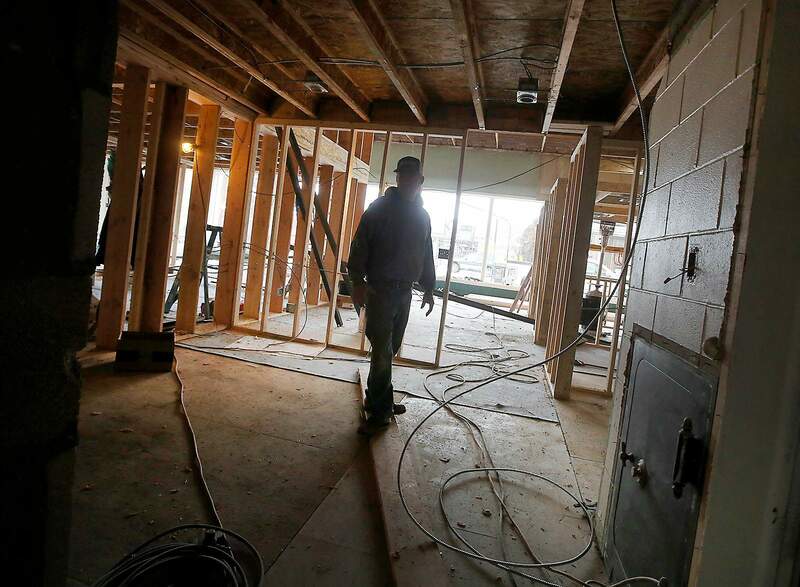 Besides serving as home to SGA and its five employees, Gates said the new office, located across from the 11th Street Station, will house its related construction company, E-Terra Construction and its six employees. The added floorspace will allow Gates to have his first private office and it will allow for a private conference room. The building, constructed in 1938, originally opened as a Safeway, Durango’s first chain grocer, and Gates intends to keep the old store’s original safe. Gates has claimed space beneath a large skylight for his office. He was unsure if the skylight was part of the original old Safeway. 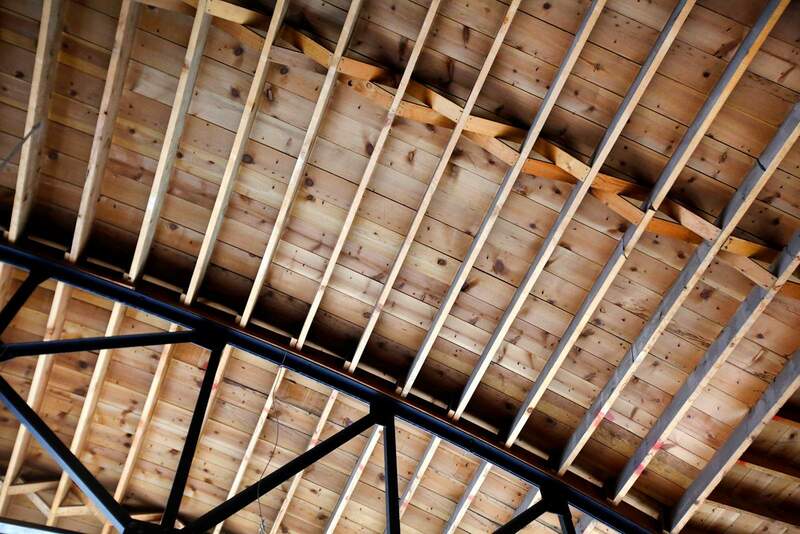 Two ceilings, one at 10 feet in height and the other at 14 feet, have been removed to show off original ceiling trusses. “With each layer we take off, this building just keeps getting better and better,” he said. The remodel also includes removing plaster to expose the original brick walls. The facade will be upgraded with the removal of single-plate glass windows and their replacement with 1-inch insulated glass. Also, a new black, modern canopy also will be coming. The building has a historic designation, and SGA has received administrative approval of its changes from the city of Durango’s Planning Department. Durango Dance is looking forward to opening its new studio and office at 600 Sawmill Road – a move that will add 2,500 square feet for the group’s classes. Miriam Morgan, director of Durango Dance, said the group is waiting on a fire marshal’s inspection to open. Durango Dance’s old location at 1120 Main Ave. had 4,000 square feet, and its new home will have 6,500 square feet. Through December, Dance Durango has been using the Fellowship Hall, Youth Group Room and the Sanctuary at the Durango Christian Church, 255 E. 11th St., for its classes. Currently, classes are on pause until Durango Dance gets the OK to open its new studio, Morgan said.